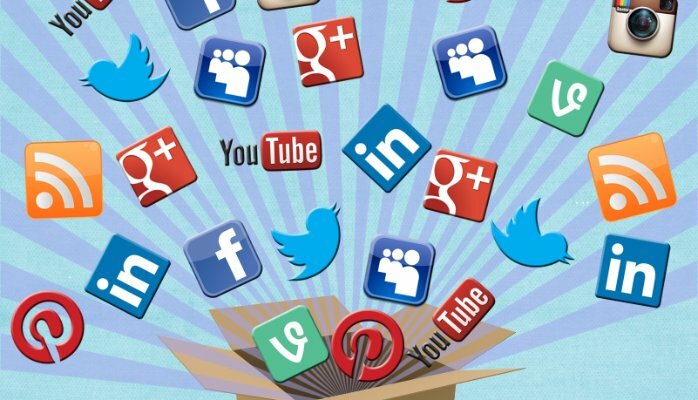 Home » Social Media » Will Small Businesses Benefit from Social Media? Will Small Businesses Benefit from Social Media? In today’s highly digital world, the importance of social media marketing is no longer up for debate. Statistics show that at least 37 percent of online users now use social media when researching about products, services, and brands prior to making purchases. While people were skeptical of social media’s influence and power at first, over the years you’d find it difficult to find a social media agency that does not consider social media as an integral component in their holistic marketing strategy. However, if you think social media is only beneficial for huge companies and established brands, think again! If truth be told, even small businesses can take advantage of the incomparable benefits only social media can offer. Social media can help significantly reduce your overall marketing expenses. When it comes to getting the necessary brand exposure, social networks are deemed one of the most cost-effective options available. Apart from investing time, it won’t cost you anything to pin an image of your product on Pinterest, tweet about your services, or give discounts on Facebook. Even if you can’t afford to spend much on marketing, social media channels can give you access to advertising platforms that can effectively target consumers with keyword, demographic, or interest-based campaigns. With targeting parameters that are highly specific, Facebook, Twitter, LinkedIn, and other social media platforms can definitely make your small advertising budget go a long way. Social media can help impact the results of your brand’s organic search. If you want your domain to appear high up in the search results page, creating compelling and optimized content is key. However, social media can definitely help influence your rankings. When you post or share your content on social media, you are dramatically increasing your chances of getting interested parties to visit your website, share or like your content, and even link it to their own domains. Bing and Google take into account these social signals when ranking links on the search results page. Social media provides the ideal venue to showcase your brand’s online personality. In essence, social media can be likened to a cocktail party as opposed to a business meeting. That means you are in the position to highlight your brand’s personality rather than acting like a cold and calculating corporate robot. Social media is the best venue to give your followers behind-the-scenes info about your brand, your workspace, your employees, etc. By humanizing your brand, you will make it a lot more effortless for customers to connect with you and be loyal. Social media provides the ideal platform where satisfied customers can validate your business and brand. Since social media makes it possible for customers to correspond with you directly, you are able to immediately attend to any issues and provide them with the best possible customer experience. And since social media is a public forum, other prospects will be able to witness when customers will sing you praises. It will not only be good for your online reputation, it will also increase the chances of other people giving you a try the next time they are in need of what you have to offer. Social media helps you gain competitive advantage. When you are able to connect with your current (and prospective) customers the organic way, you will definitely gain an advantage over the competition. Utilized properly, social media can help significantly boost your search rankings, create a relatable and compelling online personality, build connection and loyalty, and provide exceptional customer service, among other things. Taking into account all the benefits it has to offer, it’s easy to see why a reputable social media agency always integrates social media in all their marketing efforts.